On Wednesday, September 20, we had the privilege of partnering with 55 volunteers from Blue Cross Blue Shield, the Department of Conservation and Recreation, and the South Boston Neighborhood House to clean Carson Beach as part of Blue Cross Blue Sheild’s annual service day! 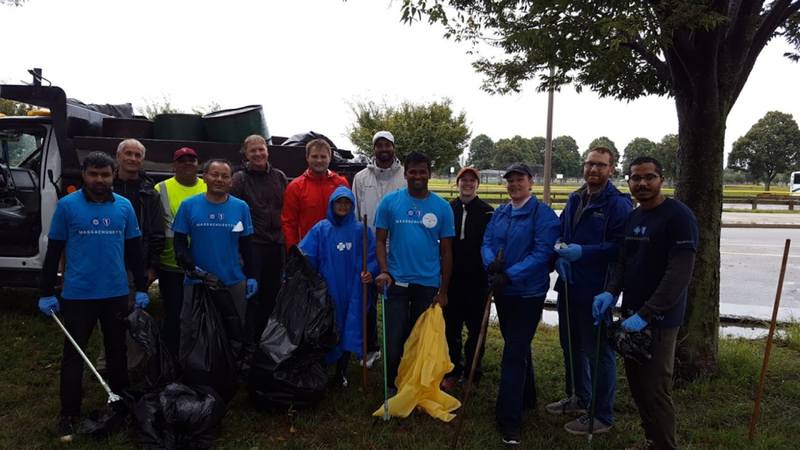 The weather was rough, but the “Blue Crew” braced the severe winds and near-torrential downpour to clean nearly 2 miles of beach. From City point to the Murphy Skating Rink and into Moakley Park, the Blue Cross volunteers worked hard and once again showed their dedication to local beaches and organizations. After months of intense planning, and with a rain plan which consisted of “get wet”, we started the week with a forecast of nearly 50 mph winds and heavier rains than expected. 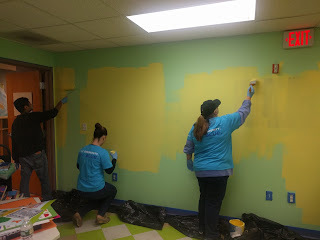 Despite the last minute addition of some indoor projects, the volunteers showed up with overwhelming positivity and drive, and eager to get outside and onto the beach in the weather. Despite 50 MPH winds and blowing rain, we couldn't keep volunteers from getting outside onto the beach. 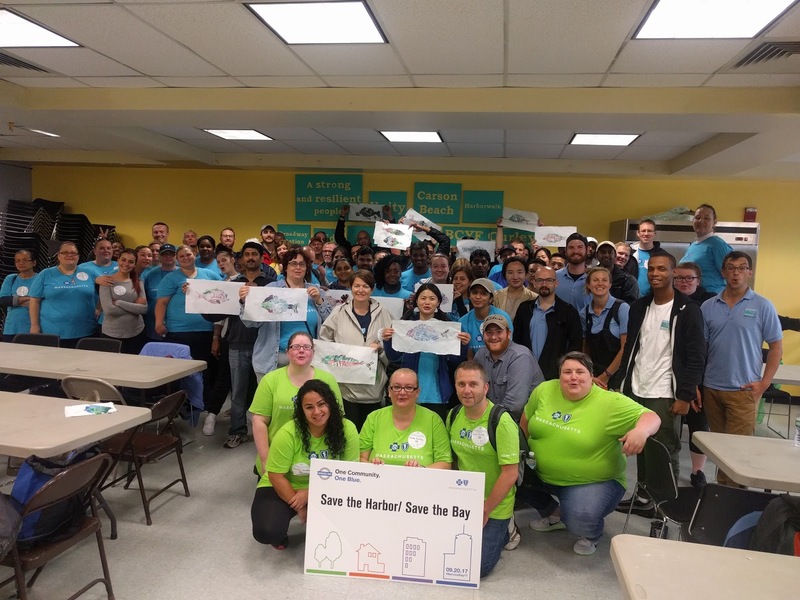 To top off all the amazing work BCBS volunteers had already accomplished, they also helped prepare our new initiative aimed at spreading awareness on the health benefits of eating seafood twice a week and focusing on the benefits of eating more healthy, sustainably sourced and delicious fish! To celebrate, volunteers created fish-printing masterpieces and sampled fresh scup and mackerel from our neighbors on Boston Fish Pier. Our beaches and community centers are important resources, and we are grateful to our partners at Blue Cross Blue Shield, the Department of Conservation and Recreation, and the South Boston Neighborhood House for their hard work and dedication to our mission. We wouldn’t be able to make such an impact without our partners and our friends.